Crop your photos square for a unique look and showcase them in a stylish frame or your own personal album. Print 5×5 photos for a variety of projects including framing, scrapbooking, or simply sharing with family and friends. If you want to go smaller, our 4×4 glossy photo prints are another great size to fill up a classy frame or your family album. Want to go bigger instead? Our 12×12 prints are fun, affordable way to highlight your memories in style. No matter the occasion, square photo prints will preserve your best pictures year after year. 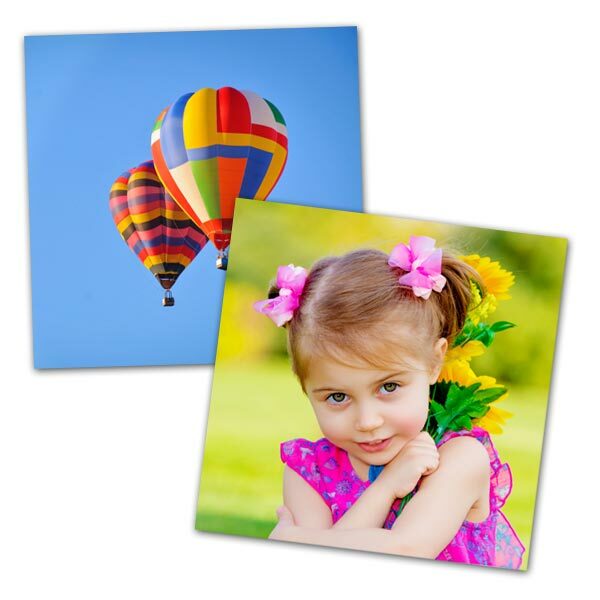 Order 5×5 prints with custom cropping and optional white borders. All Photo prints available in glossy or matte finish.